The Ho Chi Minh Trail had grown from a rough assemblage of animal tracks and jungle paths to become a highly effective logistical network which was the main supply line of Viet Cong from North Vietnam to South Vietnam battle field in the American War. The government already built a new highway on most of the original trail. However, we still have some parts on tracks and short-cuts that offer off-road riders a chance to test out their riding skills. 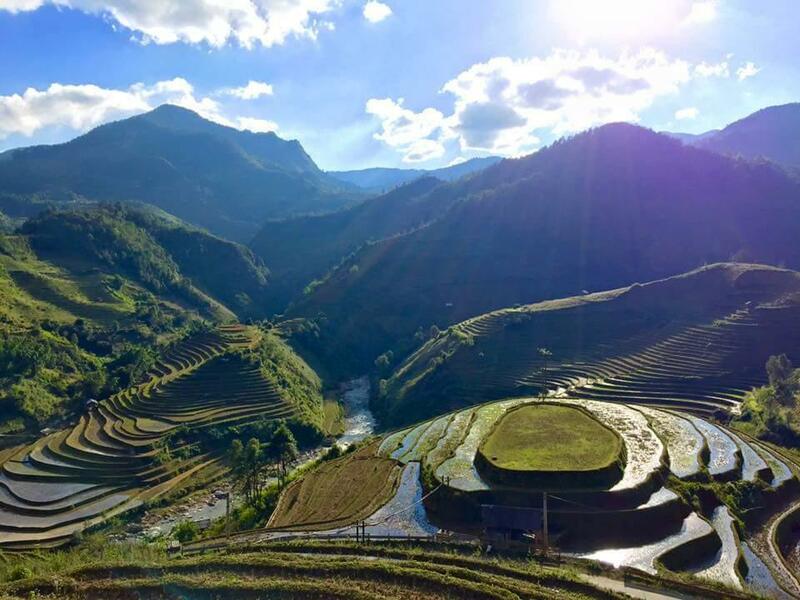 Joining this trip, you also can take time to stay overnight in a traditional Thai hill tribe and visit to some tribal villages on the way to discover a unique part of Vietnamese culture. 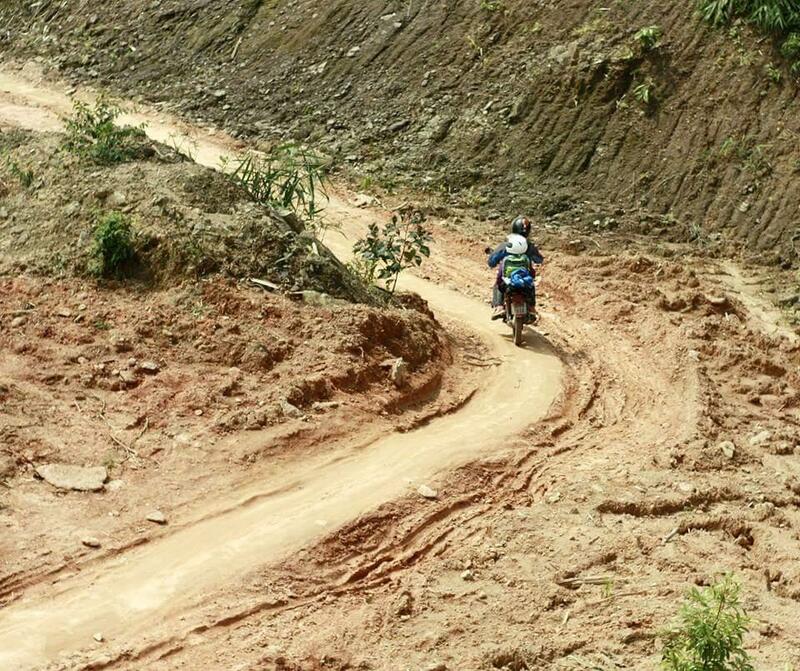 Ride on to dyke roads following Red river to Thac Ba lake. 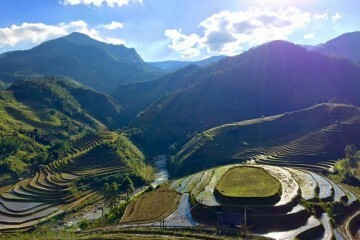 See beautifull countryside, rice and green tea fields. Then we turn to the little road to Vu Linh village, where populated by Dzao ethnic minority by the side of Thac Ba lake, also formed by the construction of hydroelectricity dam in the 1970s. 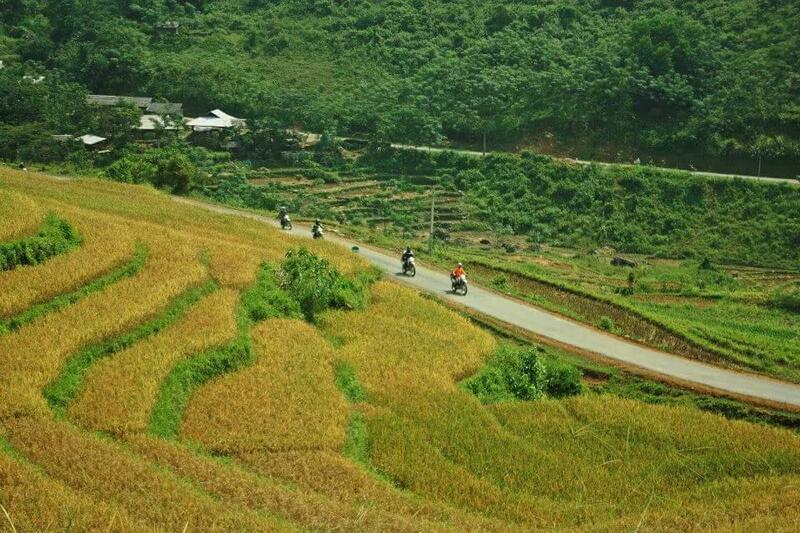 We keep riding to the Dao village of Vu Linh where we stay for the night, enjoying Dao hospitality. Say goodbye to Thac Ba lake, we head up to Ba Khe T-junction, we continue on sealed road through renowned tea growing areas, where the hillsides are literally covered in plantations, all the way to the city of Yen Bai which sits on the Red River. 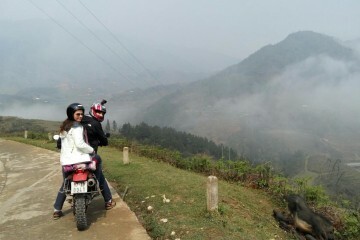 After lunch, we cross Lung Lo pass to go to Phu Yen Town, a district belongs to Son La Province . During the First Indochina War, the 15km-long Lung Lo Pass, used by the Vietnamese resistance force to transport weapons, goods and food during the Dien Bien Phu campaign of 1954, was heavily bombed by the French in order to sever the front lines from the rear. Lung Lo Pass, situated in the northern province of Yen Bai, was also recognised as a national heritage by the ministry. 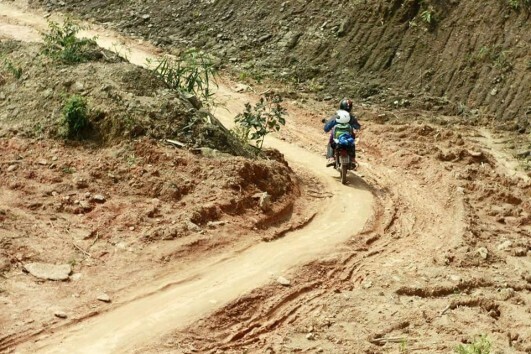 There are many small roads that lead into the mountains around Mai Chau so we’ll take the chance to motorcycle out to isolated H’mong, Dao and Thai villages. We will take on the challenge of an old road built by the French army and spend the afternoon exploring nearby villages. Overnight in a Thai ethnicity stilt house in Mai Chau. Motorcycle on a small, spectacular and paved trail along the Ma river until Cam Thuy town where we stop for lunch. Hit the Ho Chi Minh trail (now a newly built highway) all the way to Tan Ky town where we spend the night in a hotel. 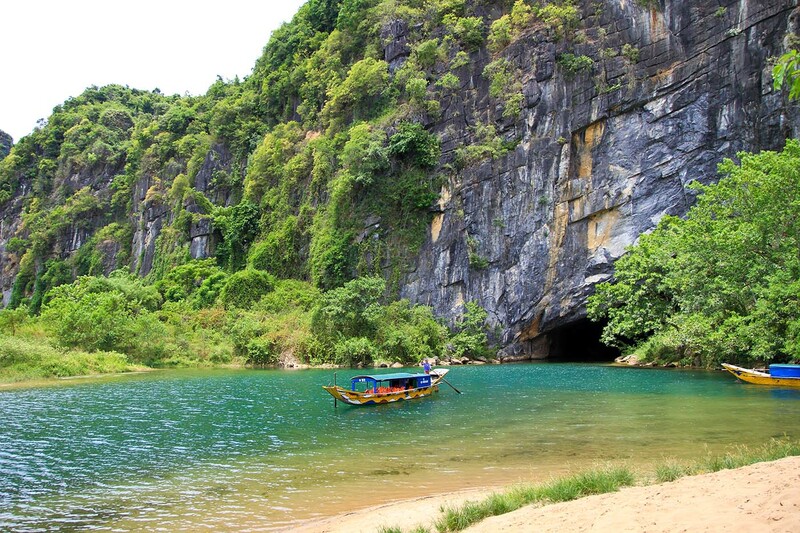 Motorcycle all the way to Phong Nha – Ke Bang, the biggest and also the most beautiful cave in Vietnam and Indochina and is now a UNESCO World Natural Heritage site. 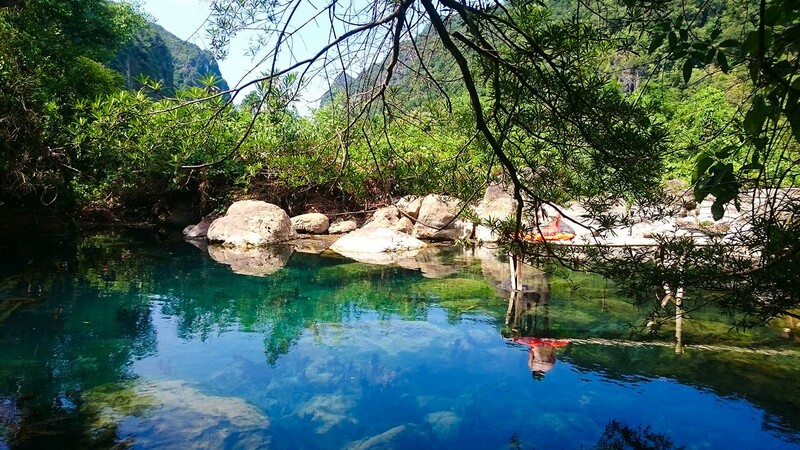 The karst formation of Phong Nha-Ke Bang National Park has evolved since the Paleozoic (some 400 million years ago) and so is the oldest major karst area in Asia. Subject to massive tectonic changes, the park’s karst landscape is extremely complex with many geographic features of considerable significance. The vast area, extending to the border of the Lao People’s Democratic Republic, contains spectacular formations including 65 km of caves and underground rivers. 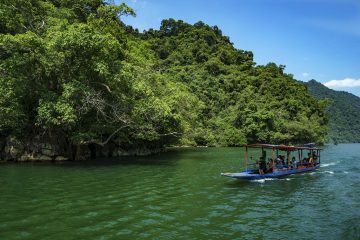 Boating and exploring World Heritage site of Phong Nha where local civilians and military sheltered from incessant bombing during wartime. Then we drive down to the coastal town of Dong Hoi, which was heavily shelled by US warships during the war. At a hotel over looking the beach, we can take in some sunbathing by the beach. Overnight in Dong Hoi. We strike back up to the mountains, rejoining the Trail at Phuoc Son (also known as Kham Duc). From there we head up the towering Lo So Pass, passing through remote areas thinly populated by peoples of the Ba Na ethnicity. Edging close to the border with Laos, where a number of Trail arteries crossed over in Laos, we continue on to Kon Tum. Overnight in Kon Tum. In the morning we motorcycle head south through the Central Highlands, passing Pleiku and the Ia Drang valley battlefield, before continuing onto Buon Ma Thuot (also known as Buon Me Thuot), the city where northern forces launched their final assault on the then Saigon. Buon Ma Thuot produces most and best coffee products in Vietnam. Overnight in Buon Ma Thuot. We take an easy motor ride back down off the Tay Son highlands towards the coast, arriving at Highway 1 some 30 km north of Nha Trang. 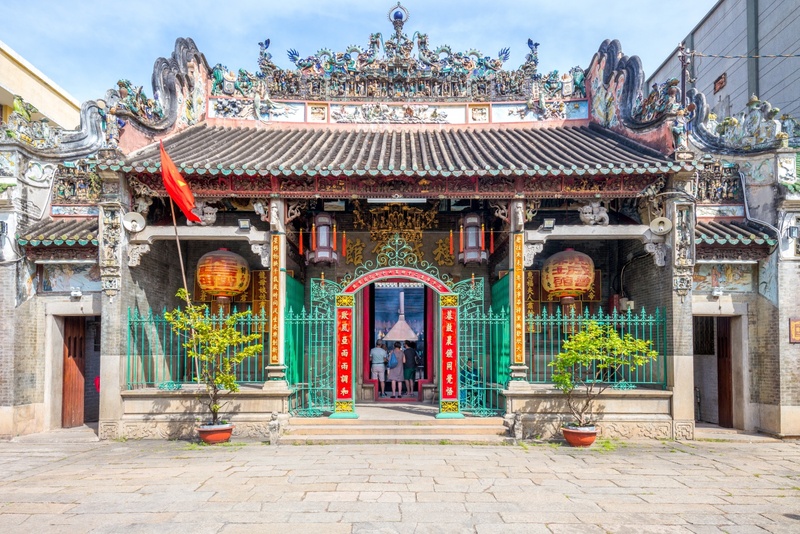 Taking in this scenic coastal stretch past turquoise waters and scarlet fishing boats, we arrive in the bright lights of Nha Trang and its relaxing holiday options.Overnight in Nha Trang. A free day by the beach before gathering for a seafood feast to recount our adventure and toast the Ho Chi Minh Trail. 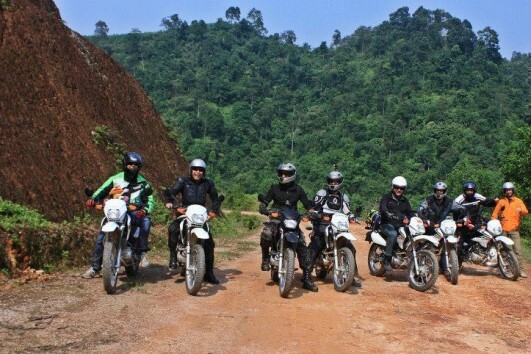 This 150 km ride shows you some footages of the famous 2008 BBC’s Top Gear Vietnam Special show. Mountainous motor ride on the Central Highland. 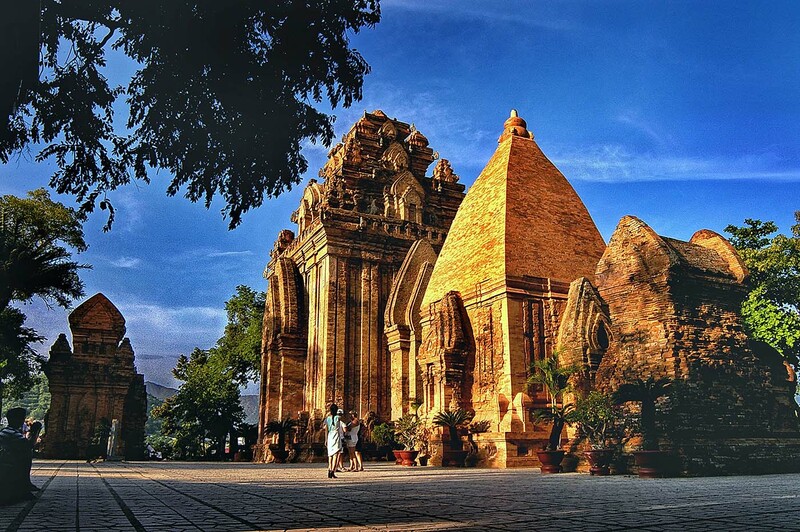 Da Lat is known as “The City of Love” and is a favorite holiday resort for Vietnamese as well as the French. With evergreen forests, waterfalls, beautiful lakes, the country’s best flower gardens, and delicious fresh produce, Da Lat has always provided a welcome respite from the heat of the lowlands. 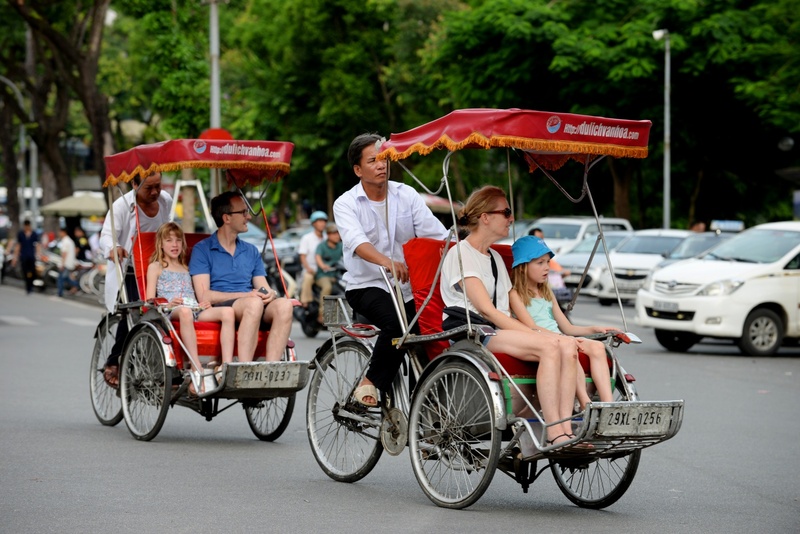 We can spend the day visiting the highlights of Da Lat – its gardens, cathedral, waterfalls, market, Valley of Love, convent, university, train station and key pagodas. Overnight in Da Lat for the second night. 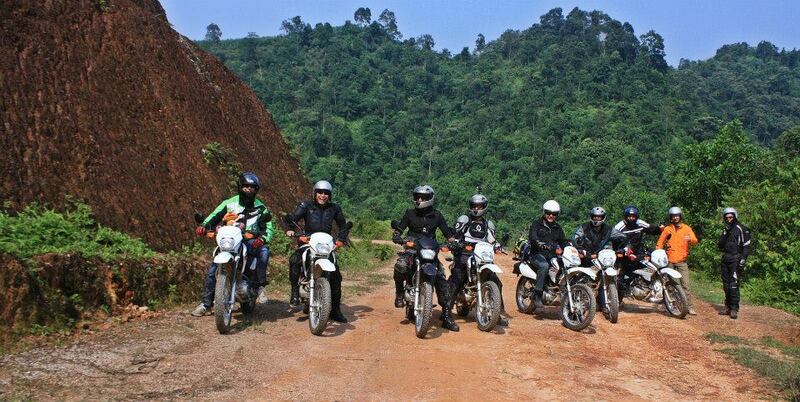 Down on road 20, we ride to Cat Tien National Park. This forest area used to be the head quarter of Vietnamese army during the war. The park suffered historically during the Vietnam War when it was extensively sprayed with herbicides like the defoliant Agent Orange. To this day these areas have extensive bamboo and grassland cover and trees have not yet grown back. This is not so long but is a big day as traffic is very crazy when we enter Saigon (HCM City). We ride straight to the train station where we end the ride. If you need information about places to stay and/or to eat, our guide will be able to recommend some. 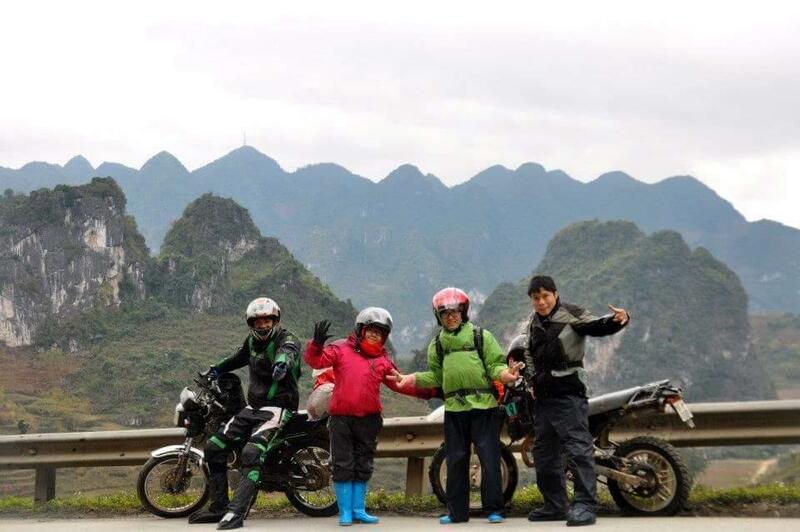 Please note that Ho Chi Minh trail rides cost more than our standard rides as we have to pay the guide(s) and bikes back to Hanoi. 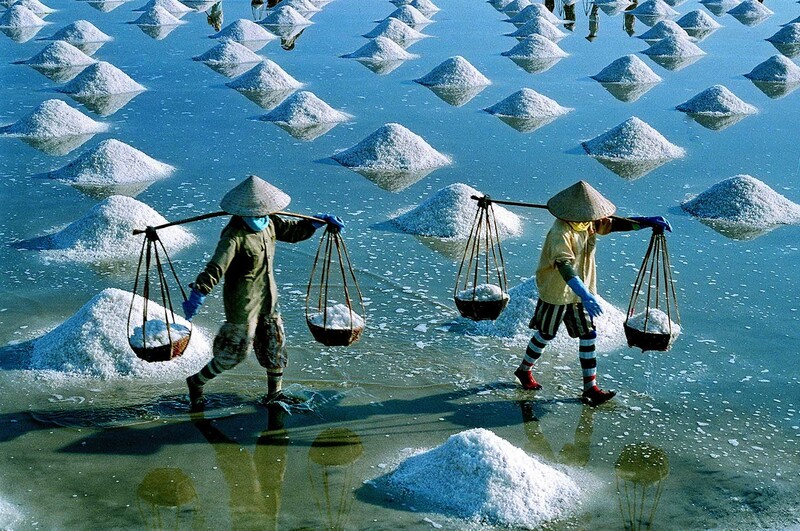 In addition, food and hotel in South Vietnam cost more than in the Northern mountain parts. 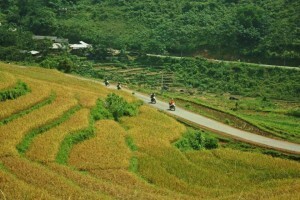 The riding hours are longer than a Northern Vietnam trip, however the scenery is not as beautiful as in North Vietnam. It’s more about Vietnam War! 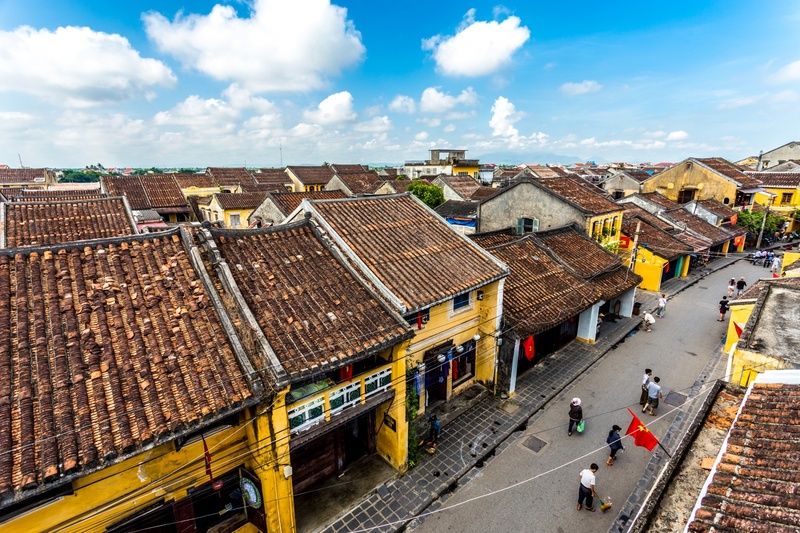 We also recommend you to bring your riding gear as if you get all from us, it’s not easy for our guide to carry them back to Hanoi.